If you’re a Google AdSense publisher, you’ve noticed that a few weeks ago the Terms and Conditions for this service have been updated. That’s it! Really simple. Great plugin. Last week saw the appearance of new AdSense feature I’ve been waiting for: it’s now possible to manage ads! The idea behind ads management is that most of parameters will now be stored on AdSense servers, not in ad code on your website. This means changing any parameter will be much easier, cause you simply edit it from your AdSense panel, without having to regenerate the ad unit code and integrating it into your website. 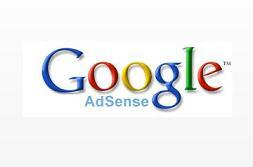 Any AdSense units you’re going to create are automatically added to the list of managed ones, so by going to the AdSense Setup -> Manage Ads menu of your AdSense control panel you’ll be able to access the list of such ads. You can click and edit any one of them. Any existing ads of yours will continue to work, but if you want to simplify their management, you’ll have to convert them. Again, you do this once, and then enjoy the benefits every time you’re changing something about your ads. Google Reader Finally Gets A Search Feature! Great news! 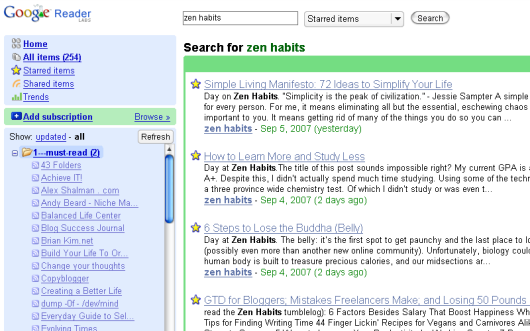 Google Reader – the best RSS reader ever, has finally got the long-awaited search functionality! This means that you can now search through all the feeds you’re subscribed to, either a particular folder or all of them. For me, the most useful search would be finding the good articles among the ones you have starred in the past. If there was one feature I could add to Google Reader, this would be the one. So I’m really glad it’s finally arrived. For the official announcement, go read the post on Google Reader blog, otherwise have a quick look at the screenshot, and go on – give it a try yourself! For all of us FeedBurner users, exciting times are coming: looks like Google indeed buys FeedBurner for $100m! I've been using the 103bees.com service for a couple of weeks now, and it's definitely a must-have search engine traffic analysis tool for any serious blogger. It's a real-time online tool for webmasters and bloggers that is highly focused on natural search engine traffic analytics. It provides tons of detailed statistics and in-depth information on the search terms that drive visitors to your webpages. 103bees is an indispensable tool for search engine optimization and internet marketing – everything you need to know about your search engine traffic in one place! This tool allows you to easily get various views of your search engine traffic in real time. At any time, you can view a list of the latest searches which brought visitors to your pages, as well as see your top landing pages, top keywords used or SERP rankings of the all search requests which generated traffic. All this is provided for free, and you get a 30 days of historical data to analyze for as many websites (you call them projects in your 103bees account) as you like. I'll write a review for it in the coming few days, but for the moment just wanted to share this tool with you and point you to a great review by Darren Rowse at ProBlogger: 103bees: Search Term Analytics Review.